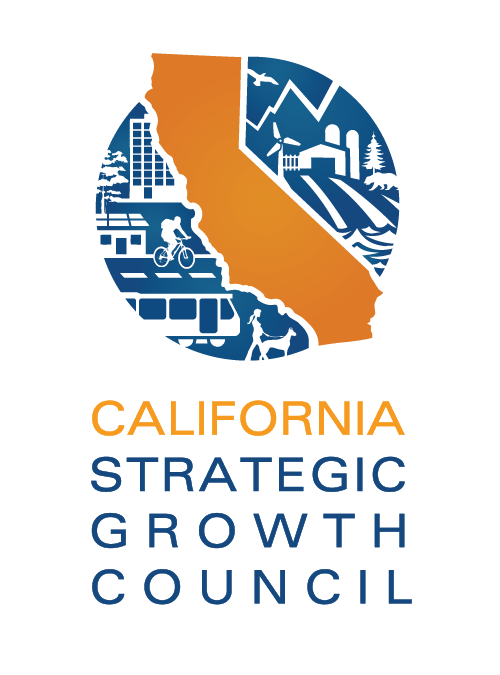 The Strategic Growth Council (SGC) coordinates the activities of State agencies and partners with stakeholders to promote sustainability, economic prosperity, and quality of life for all Californians. Your participation is requested and encouraged at an upcoming public workshop on transportation and land use strategies to help achieve the State's greenhouse gas (GHG) reduction goals. This is an important opportunity to help advance sustainable, equitable land use, development, and transportation as a key component of California's plan to reduce greenhouse gas emissions. The AB 32 Scoping Plan is the State's official GHG reduction plan. It outlines the State’s comprehensive strategies to achieve our ambitious GHG reduction goal of 40 percent below 1990 levels by 2030. The California Air Resources Board (ARB) is in the process of updating the Plan. The Strategic Growth Council has been collaborating with ARB and numerous other State agencies to help develop potential strategies for consideration in the Scoping Plan that advance the role of sustainable and equitable land use, development, and transportation strategies that reduce vehicle miles of travel (VMT). The Scoping Plan is an important roadmap for the strategies the State will take to continue working towards achieving our GHG reduction goals. The vision, goals and recommendations established in the Scoping Plan will shape priorities for the next several years of State-level climate mitigation activities. VMT-reducing land use, development, and transportation strategies are critical not only for GHG reduction, but also for building more equitable, healthy, resilient, and livable communities. We encourage you to attend the workshop in person if you are able. You can also view the live workshop remotely via webcast and submit comments online during the workshop at: https://www.arb.ca.gov/cc/scopingplan/meetings/meetings.htm. Additionally, you can review and submit comments on the proposed strategies during the public comment period immediately following the workshop at: http://www.arb.ca.gov/cc/scopingplan/scopingplan.htm. More details from ARB are included below. California Air Resources Board (ARB) are jointly hosting a public workshop on the Transportation sector on September 14, 2016. This public workshop will provide an overview on the process to update the 2030 Target Scoping Plan, and will include CEC and ARB staff presentations on efforts that contribute to greenhouse gas (GHG) reductions in the vehicle and fuel technology sectors. ARB staff will also present and introduce the newly developed Biofuel Supply Module. The Biofuel Supply Module is being developed to aid in assessing potential low carbon fuel availability in California as part of the Scoping Plan modeling effort. The Biofuel Supply Module will be posted on Wednesday, September 7. In addition, OPR, CalSTA, SGC, and ARB staff will present on current initiatives that contribute to reductions in vehicle miles travelled (VMT) and GHG emissions, and a land-use vision and potential additional transportation and development strategies to achieve greater VMT and GHG emissions reductions in the future. In advance of the workshop, Agencies will post a White Paper containing initial land use protection, management, and development ideas that will be considered and evaluated as part of California’s 2030 climate change vision and strategy for the Transportation sector. emissions to meet the 2030 and 2050 targets. ARB was directed to update the AB 32 Scoping Plan to reflect the 2030 target, and therefore, is moving forward with the update process. The mid-term target is critical to help frame the suite of policy measures, regulations, planning efforts, and investments in clean technologies and infrastructure needed to continue driving down emissions. This workshop will support the process to update the AB 32 Scoping Plan to reflect California’s goal to reduce statewide greenhouse gas emissions 40 percent below 1990 levels by 2030, as directed in Executive Order B-30-15. In an effort to further the vision of AB 32, Governor Brown identified key climate change strategy pillars in his January 2015 inaugural address. The pillars recognize that several major areas of the California economy will need to reduce emissions to meet the 2030 greenhouse gas emissions target. One of the key pillars identified by Governor Brown is to cutting petroleum use in half by 2030. Materials will be posted by September 12, 2016, at 1:00 pm. ARB will be collecting public comments on the workshop material at http://www.arb.ca.gov/cc/scopingplan/scopingplan.htm. The webpage to submit comments will be live beginning on September 14, 2016 at 9:00 am.